These are some of the many marvelous and exciting things that hams in your local area are doing today. To find out a little bit more about ham radio, click on this link, which will take you to the ARRL website to find out What is Ham Radio? . The American Radio Relay League is the formost proponent of Amateur radio in the United States and they have a wealth of information to help you explore ham radio. 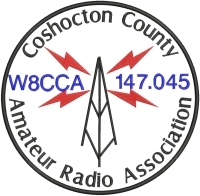 In Coshocton County there are many hams who are willng to assist you to become a ham radio operator. We conduct free classes and make available local testing facilities so that you have the oportunity to take part in this exciting and rewarding hobby. We'll be happy to get you started, get a class together for you, and mentor your progress while you learn about this hobby. Ham Radio is lots of fun, and is considered a "last resort" communication asset in times of natural or other disasters in our community and in our country. You are also welcome to come to one of our meetings to meet us and see what is happening. You can find out informtion on our meeting nights Here.